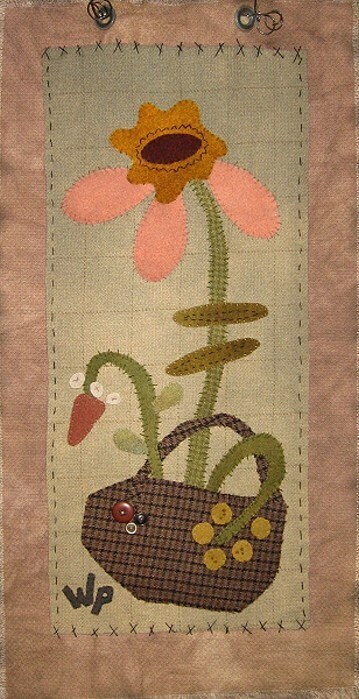 This is just a sweet little wall hanging to brighten any home. Who can resists those big pink petals. Made up of hand dyed wools. The pattern comes with a color photo, easy-to-follow instructions, templates and a complete materials list.